For many seniors, aging in place allows them to maintain dignity and independence while enjoying the comforts of remaining in their own home. In order to make this a viable alternative, it is often important to make adjustments in the home to ensure seniors’ safety when living alone. Seniors’ safety in the bathroom, and more specifically the bathtub, is one particular area of concern for many seniors, their caregivers and loved ones. As many as one third of all adults over 60 years of age experience difficulties getting into and out of traditional bathtubs for bathing or showering. A bathtub to shower conversion from Bathway can dramatically increase bathroom safety for seniors. There are a number of simple and affordable amenities from Bathway that can be easily added to any home to improve bathroom safety for seniors. 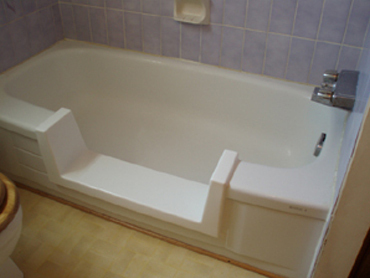 Reducing tub height with a bathtub conversion is a cost-effective way to improve bathroom safety for seniors. Adding grab bars to existing shower and bath spaces helps seniors aging in place to feel more secure. Fold up bath seats and hand-held showers are conveniences that are discreet and dignified. Contact Bathway today for a free bathtub to shower conversion estimate.